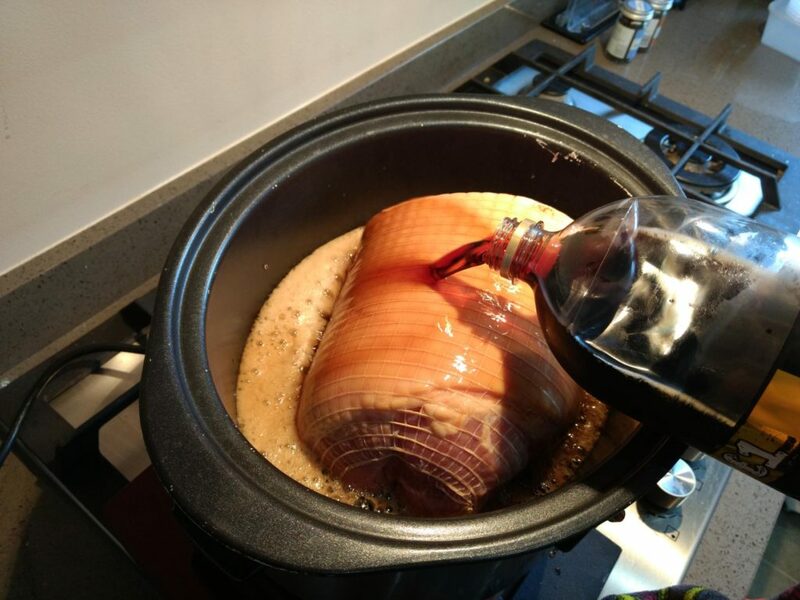 This is a great and fun way to cook gammon! Using your favourite fizzy drink! 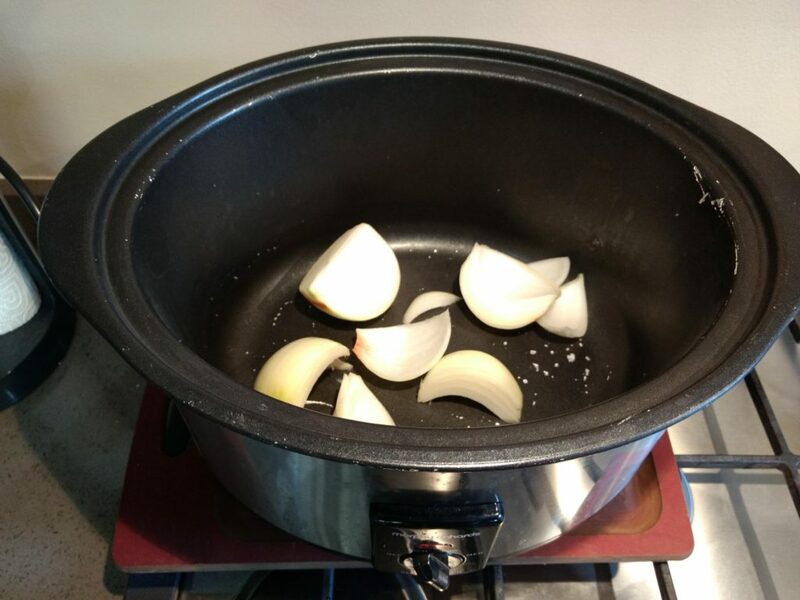 Chop the onion into quarters and place in the bottom of the slow cooker. Pour over the fizzy drink, if your parents don’t like the sound of it tell them it doesn’t matter you’ll eat your greens instead! 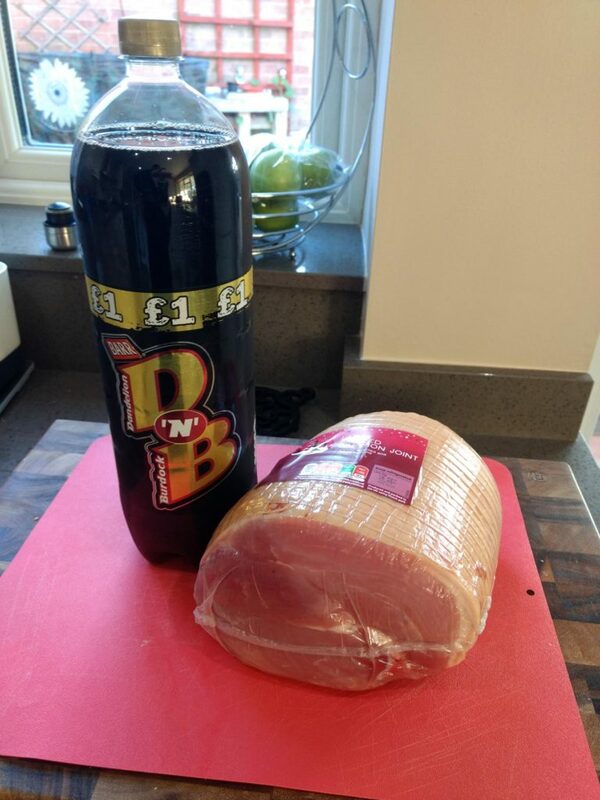 The worst that can happen is that the gammon doesn’t taste great! Don’t give up, try again with a different POP! I’ve tried Tizer, Dandelion & Burdock and Iron Bru, they all work well! 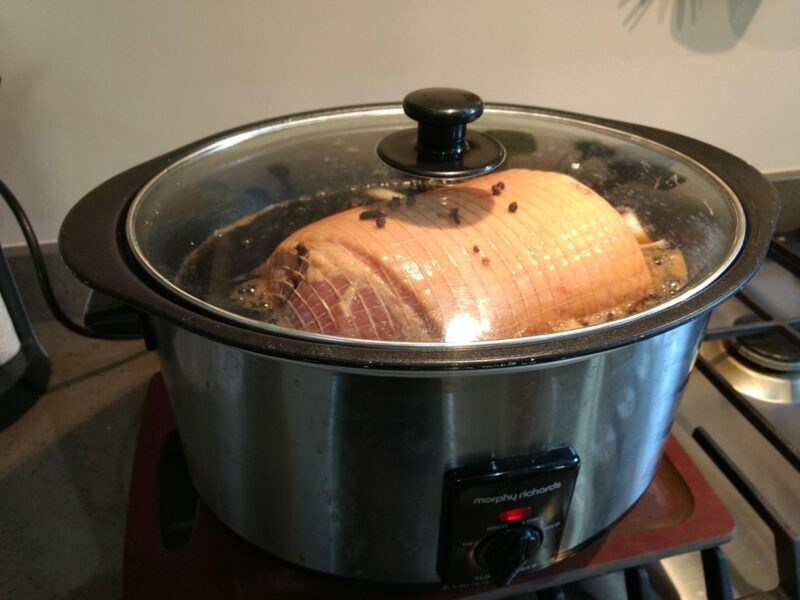 Cook on low heat for 7 – 10 hours, it really doesn’t matter. Stick it on in the morning before school and it will be ready when you are in the evening! 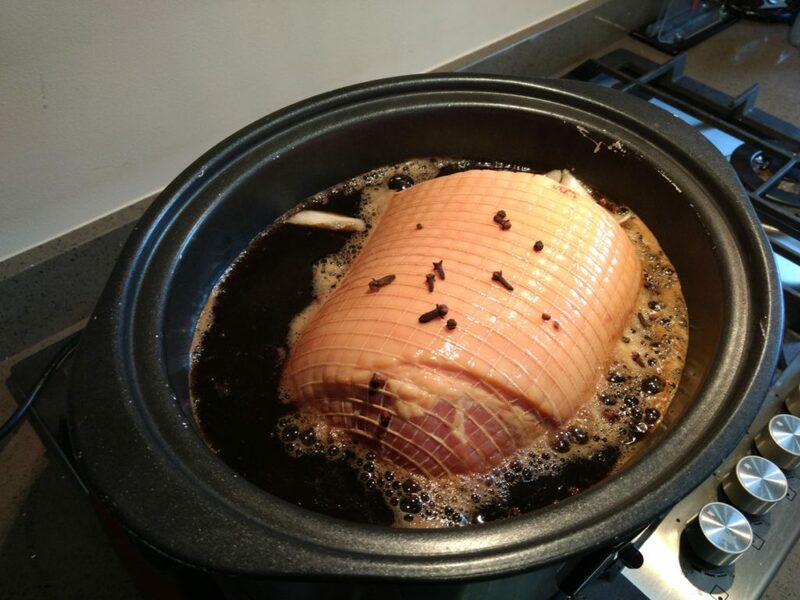 7,8,9,10,11 Hours… as long as it’s on low heat the meat will be awesome! 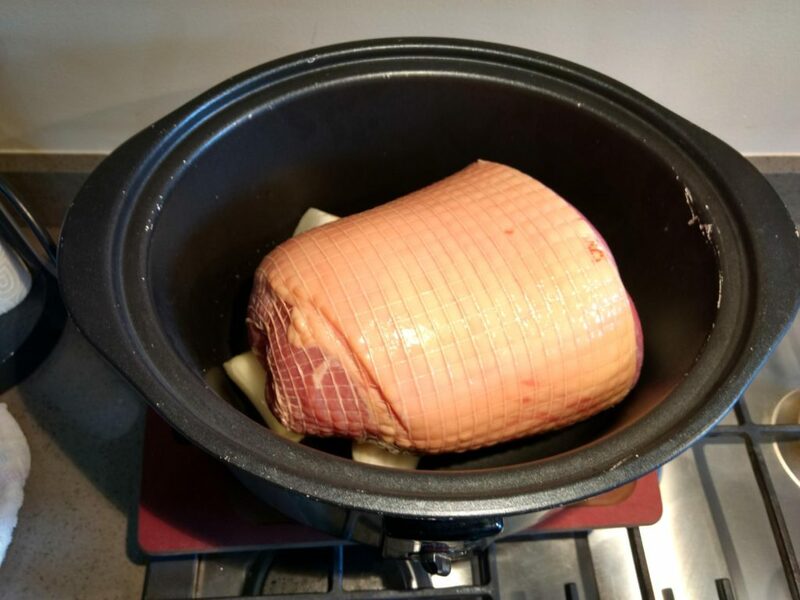 You will need 40 minutes or so to prepare the mashed potatoes and veg, when you are 20 minutes away from serving take the gammon out of the slow cooker. Place it on a roasting tray and cover with tin foil (or just wrap it in foil). 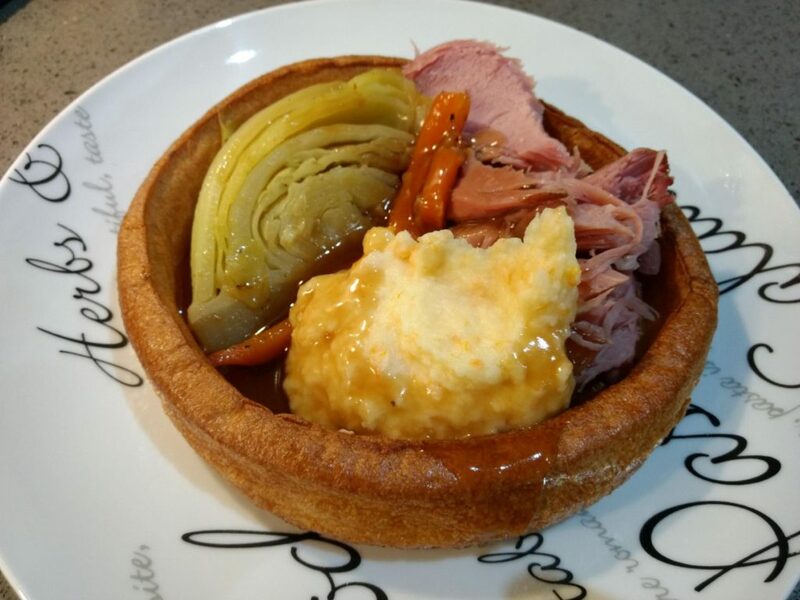 I like to thickly slice mine and serve it in an Aunt Bessies giant yorkshire pudding with mashed potato and veg. 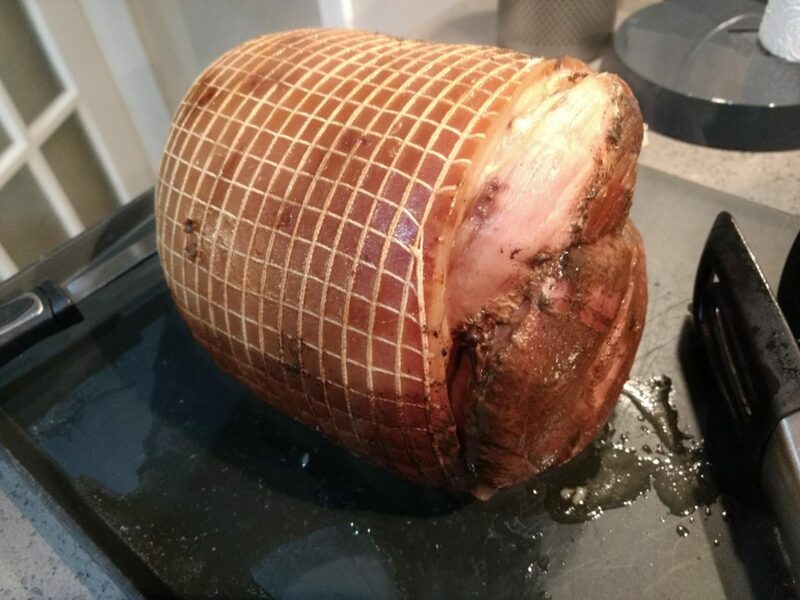 The gammon joint will last all week in the fridge for sandwiches too!